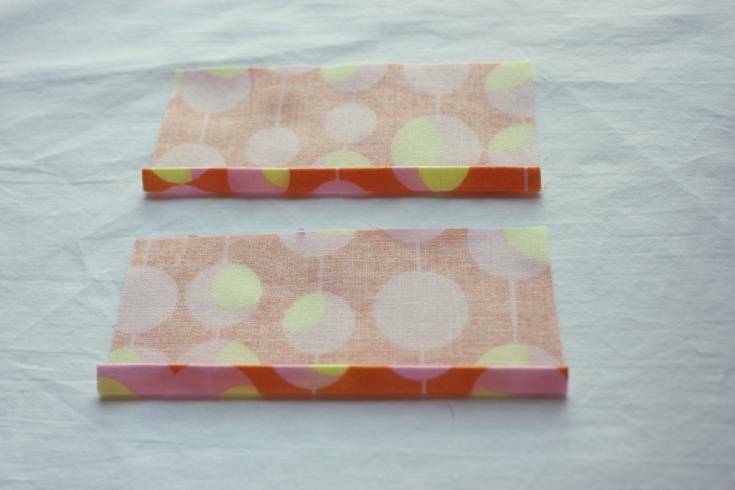 To begin, take your 2 1/2” pieces and iron a double 1/4” hem down one long side. 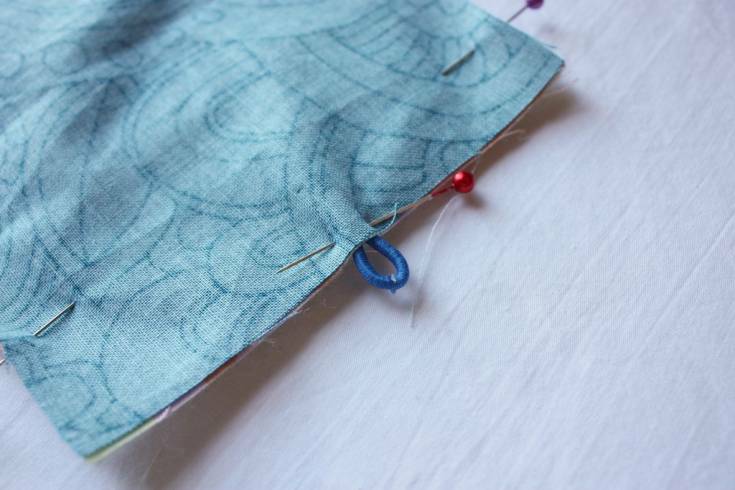 Top-stitch your hem in place. 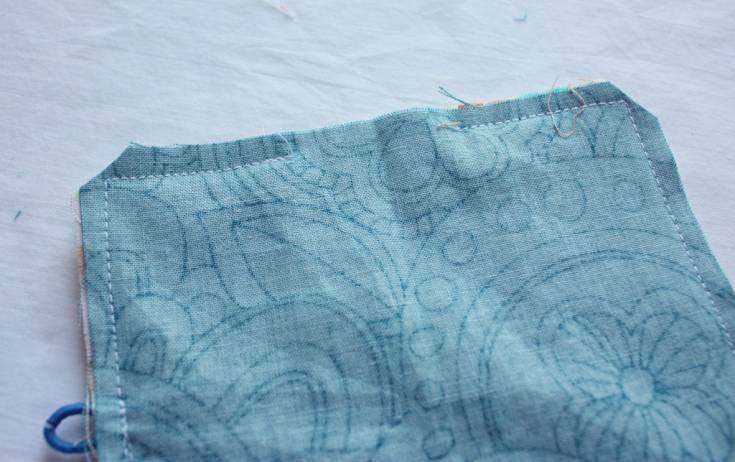 Then, place your beautifully hemmed pieces on top of your lining piece so your raw edges line up. 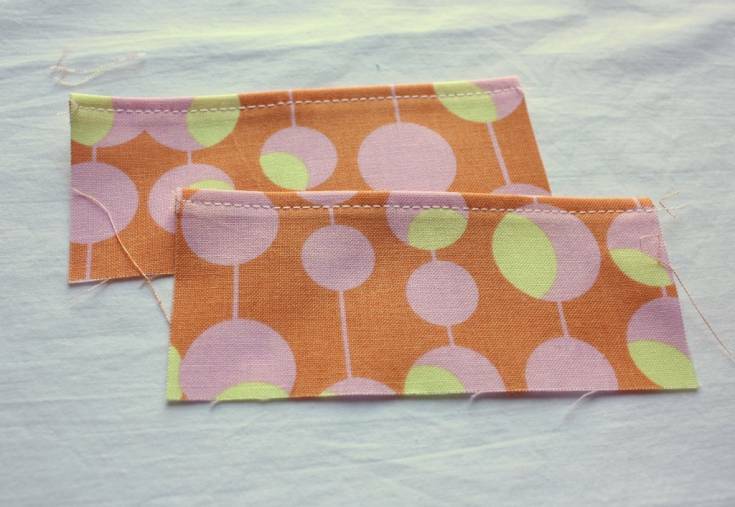 You can baste these together if you like using a 1/8” seam allowance. 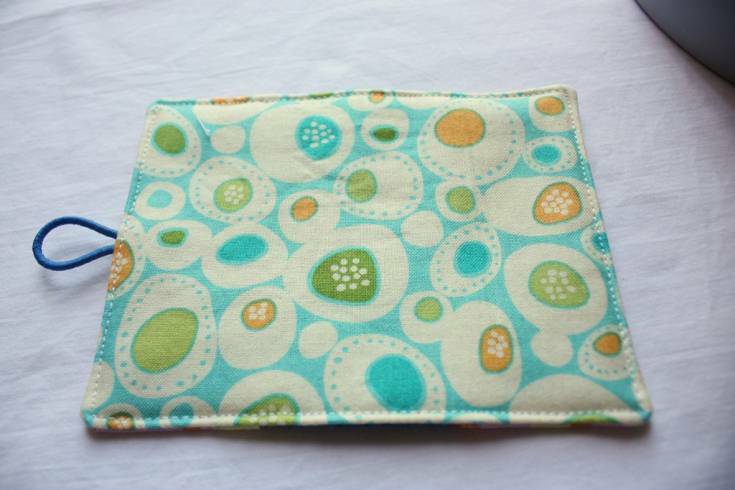 Iron your fusible fleece piece to your top piece (no pic) and put it right sides together with your lining piece. 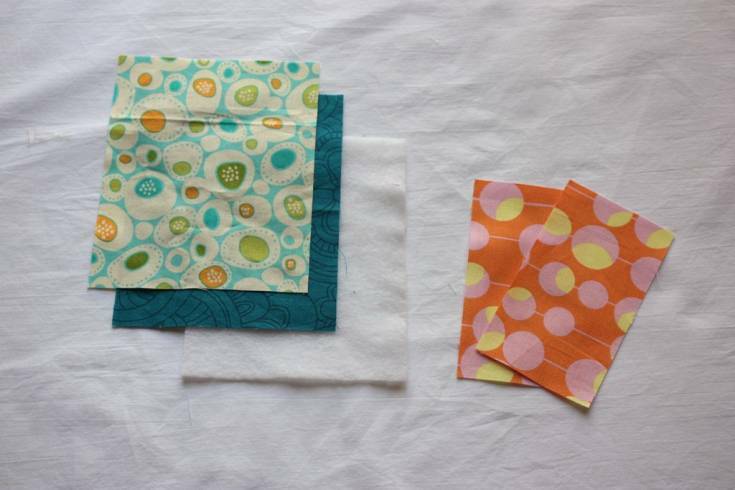 Pin these pieces together, but don’t sew yet! On one of your 4 1/2” sides, insert your hair elastic in between the lining and the top piece. 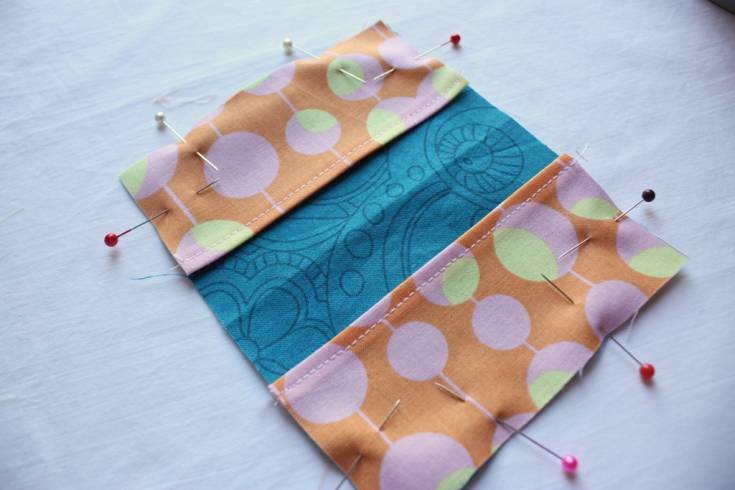 The more elastic you stick in between the layers, the longer your loop will be when you turn everything inside out. I stuck it in about 3/4 of the way. 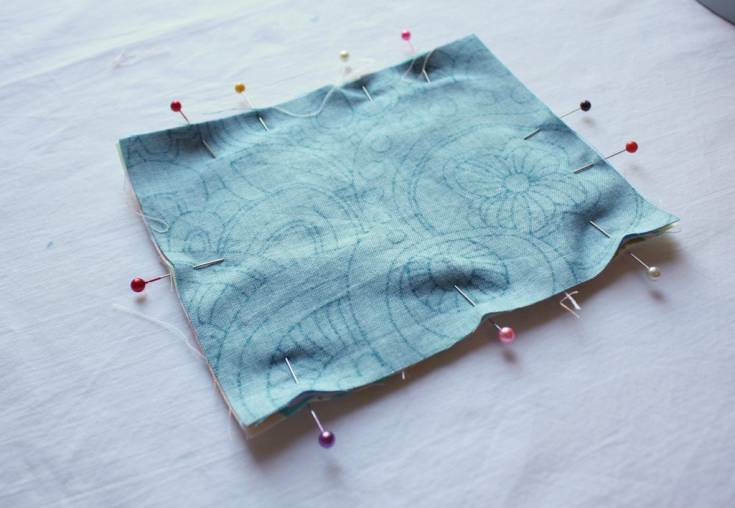 Then, sew around the perimeter of the whole thing using a 1/4” seam allowance. Make sure you remember to leave a space for turning! Clip your corners when you are done. 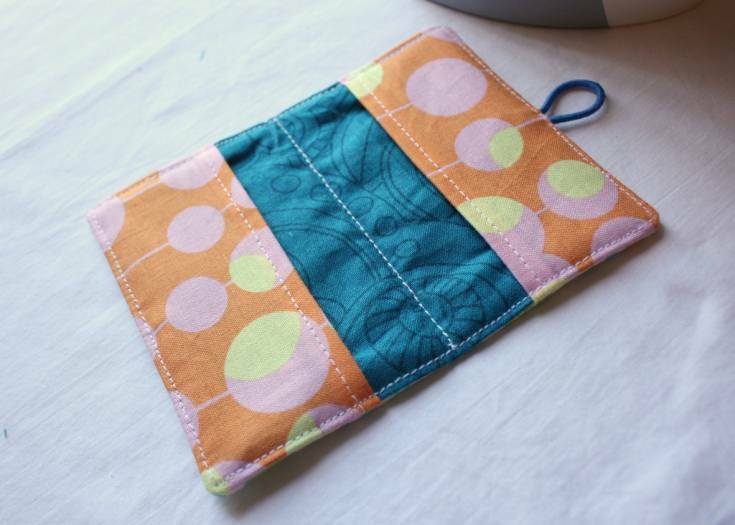 I gave it a good ironing, and then top-stitched around the entire thing to close the opening. 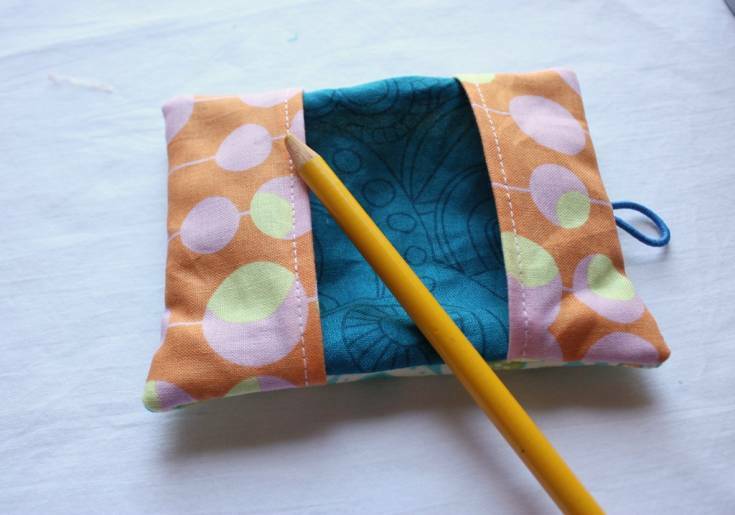 Then, sew down the middle of the piece. This is totally optional, btw, I just liked how it looked and how it kept the layers together. Now, find your button placement. 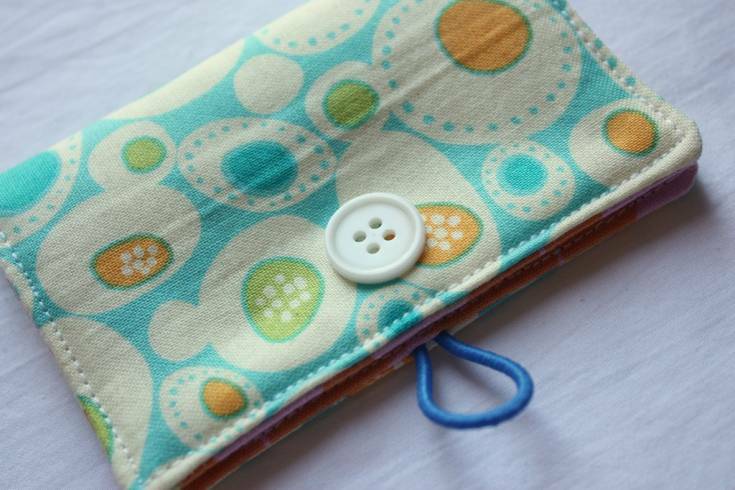 I folded the loop up and just put my button where the top of the loop hit. 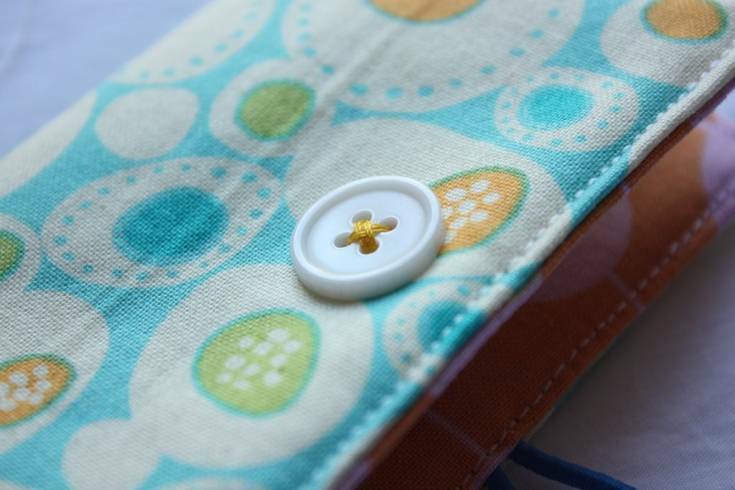 Hand-stitch the button on, but make sure not to sew the pocket shut while doing so!